Hello Mr. TOM, I would be very grateful if you could help me. 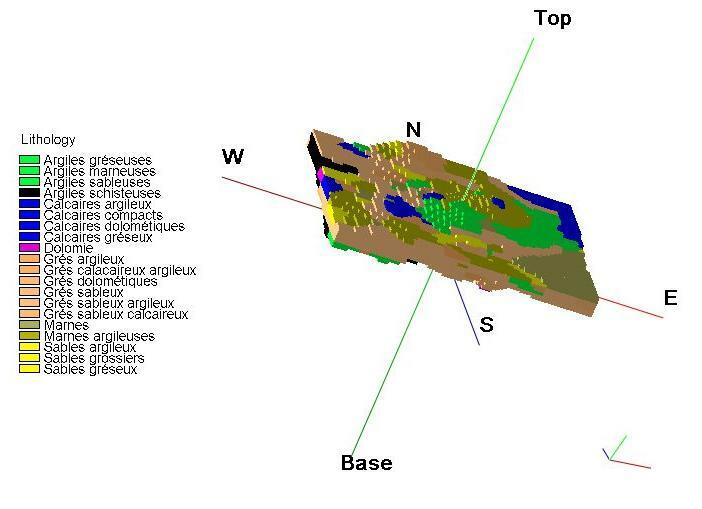 Before explaining my problem, let me inform you that I am studying in 3rd year doctoral studies in hydrogeology (my theme is based on the combination of the geology of a region in southern Algeria with hydrochemical data) where I am obliged to use the famous Rockwork software (Version 17) to establish a 3D stratigraphic model. Allow me, Mr TOM, to explain the problem to you that I have not been able to solve it for several weeks. I can't make my 3D stratigraphic model concrete (in relation to my geological map of the study area). I send you my excel file (database) with the model I obtained and the geological map. I would be very grateful for your help and collaboration. Thank you very much. 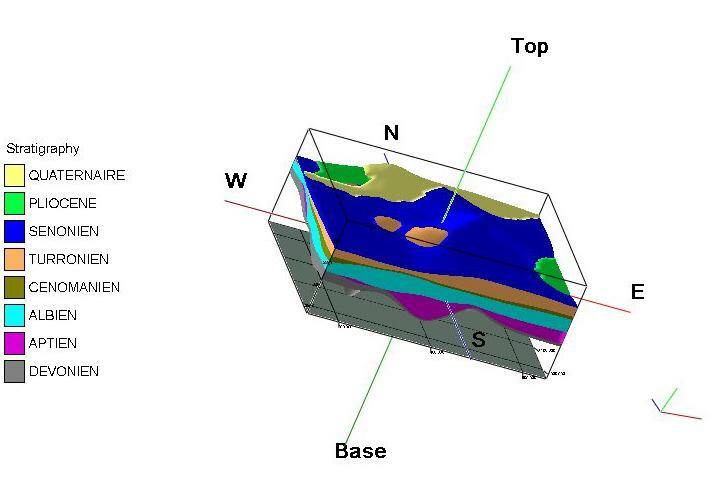 The Stratigraphy model does not match the geology map due to lack of data and the way missing formations are modeled. You may want to add data at the formation contacts on the geologic map representing the base of the younger formation and the top of the older formation. In your data, missing formations are left blank. Since there are no data points to constrain the data, RockWorks looks to other nearby wells where there are data for each formation. You may want to add missing formations with the same top and base depth (zero thickness) to help the model define the areas where the formation has been eroded away. Thank you very much Mr TOM for responding to me quite quickly, on my side I will try to apply what you advised me to do. In the meantime, please believe Mr. Tom in the assurance of my perfect considerations, thank you very much. Mr TOM, is there a possibility to delete my files that I attached to the forum (geol map, excel files...) because I can't delete them.